Follow Pat’s CSU2013 Photo Tips series! 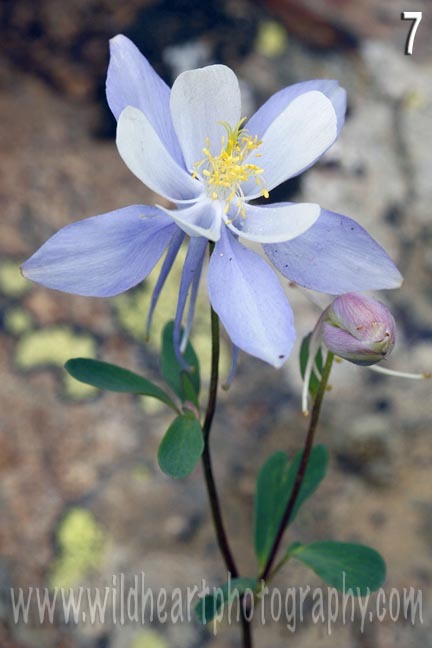 Professional photographer and staff alum, Pat Mingarelli, is writing a series of how-to posts to help you take great photos of scenery, animals, and wildflowers. Many U.S. staff find an opportunity to visit the Colorado mountains when we attend our National Staff Training conference in July, so Pat wanted to assist you in capturing memorable photos. He’s already written two posts about landscape photography (the next post will be about photographing wildlife). So, follow Pat’s CSU2013 Photo Tips series to learn how to take better photos. Start practicing these photography lessons so you can bring home your own awesome Colorado images. Photograph a flower that is sheltered from the wind and wait for the air to be still. Have a nice clean background as image 7 shows and use the appropriate aperture setting to get the proper amount of focus. Whenever an object is close to the lens the range of focus is shallow. A smaller aperture will give you more depth of field. Also, for a sharp photo definitely use a tripod! Pat’s advice applies, of course, to your overseas projects and other times when you want to have good photos of a ministry trip to share. All of Pat’s posts on eQuipping for eMinistry will help you take better photos for your prayer letters and blogs. Photos enhance your message and draw in your readers, so it’s important to learn about good photography, even if you don’t take the pictures yourself, but want to pick out the best images to use in communicating to your donor or staff team. NOTE: Meet e4e author, and professional photographer, Pat Mingarelli and read Pat’s posts on e4e.